The metaphors surrounding the title of Washington D.C. based prog rock band BRAVE’s new release reach outside the boundary of curious. 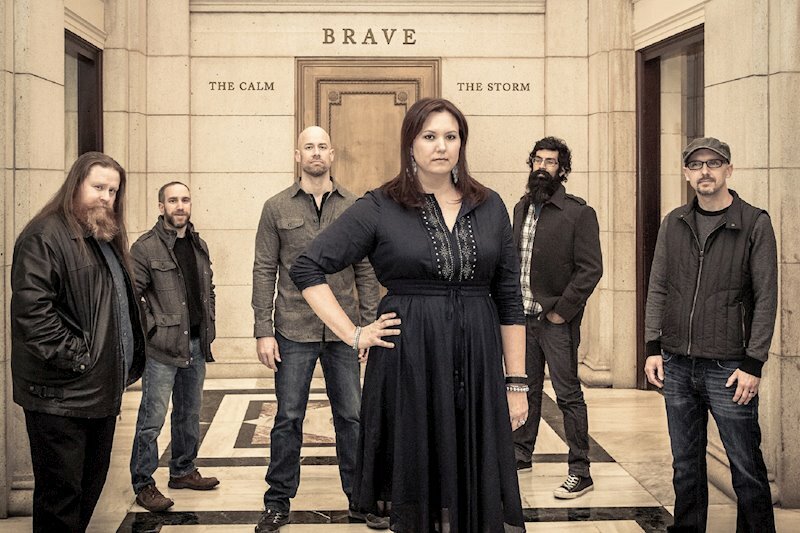 Its title the calm | the storm not only references the leaping between electric and acoustic material on the album, but being a DC based band it’s not difficult to feel the whirlwind of the occurrences in the political universe of that city. It’s been ten years since BRAVE last produced an album and during that time the writing and refining process eventually evolved to the point of recording. Done entirely within their own studios, BRAVE took the time to fully stretch out their creative abilities and experiment at their own pace. the calm | the storm opens with “I Will Wait” and its intro is not off the beaten path for prog, lots of big sounds pulling together in a musical meld. As the tempo slows the breathtaking vocals of co-founder and lead singer Michelle Schrotz change the mood. They are substance and crispness, managing to always rise above the instrumentation that would overpower most vocalists. “Mystery” is more guitar based and carves out a path for the vocals, then brings in the other instruments in an almost musical embrace. “A Thousand Miles Of Sand” brings the change from the storm to the calm. By no means full on acoustic, there is a softness within the melody enhanced by the adding of a violin. The violin is again brought to the front in “No Gravity.” It’s an instrumental and has an almost medieval sound at times, but it’s lively and very nicely done. “Bay Song” is the most minimalist song on the album both in style and duration. Clocking in at under two minutes, it’s just bare bones acoustic guitar and the sweetness of the vocal. Just as the lyrics seem to ask for more… love, time, space, the tune begs for a little more length as you just hate to let it go. As “Bay Song” is modest, “Race To The End” is bold. It features a huge sound with enhanced harmonies and has an anthem feel. “November” brings the sound down a notch while still creating a large space for all the players to have room to breathe musically. A song that speaks of uncertainty, there’s a lesson of not taking the present for granted. “Electric Ravens” has a feeling of full-on tension. There’s a lot going on, most of it has an ominous tone. Differing from most of the songs on the album, the vocals while still striking, are more of a guide through the music rather than leading the way. 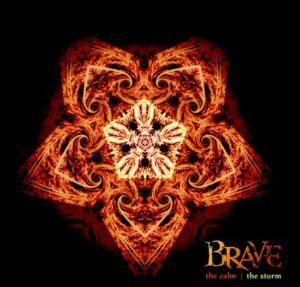 BRAVE ends off the calm | the storm with a slower paced tune called “Feel The Rain.” The recurring theme of love lost is front and center allowing the melody a melancholy tone. Midway through the song, the direction changes to a fuller sound as it carries you to the end of the album. In speaking to the band itself, there is little doubt that the vocals of Michelle Schrotz elevate BRAVE to a level of its own. As co-founder of the band, along with her brother Scott Loose, Schrotz is not only the upfront face of BRAVE, but also an integral part of its entirety. BRAVE’s roots are prog but there is so much more to their sound than that. the calm | the storm is a fine representation of all they are.